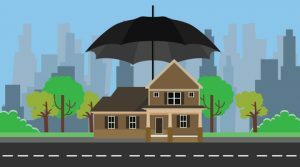 Standard insurance policies for homeowners cover a wide variety of issues that could – and often do – happen to the average property. If you only consult one insurer or simply opt for the cheapest plan, you may be leaving vital areas of your home unprotected. Continue reading below for ARC Insurance’s guide to policy add-ons often assumed to be included in the most basic tiers of home insurance. While they can be fun or even add value to a property, features such as pools and trampolines can also have serious consequences. This could mean major liability for the property owner, especially because most standard home insurance policies do not provide coverage in these cases. If you have a pool, trampoline or other feature – or you plan to add one – consult with your insurance broker to see that you are properly covered. Floods, sewage backups and the resulting mold are some of the most serious and unpleasant hazards of owning a house. When these events strike, often without warning, a property owner lacking additional coverage may be left responsible for the cost of restoration. Do not let a miserable situation get even worse – invest in special policies if your home is in danger of flooding, backing up or suffering a mold infestation. Property owners work hard, so they often reap the rewards in the form of cash, valuables and even vast or varied collections. Whether adorning our homes or stored within them, these items could be at risk of loss, theft or damage. Standard policies will only cover a limited dollar amount and claims over a certain amount are subject to intense scrutiny. If you operate a home business or even keep equipment for your job on the premises, you may assume that your home insurance policy covers these assets. Due to their usage for work, something as simple as a set of tools may not be covered in the case of loss, damage or theft. Always ensure your coverage is designed to keep your life running as smoothly as possible should the worst happen. If you have concerns over what is and is not covered by your homeowners insurance, contact or visit ARC today! We can audit your current coverage and suggest policies that offer a better fit, more affordability and ease of customization. Whatever your needs, an ARC insurance broker will make sure you and your home are in good hands no matter what happens.